The unemployment in Albania has decreased, in the second quarter of 2018, employment figures have changed in the Albanian cities. The unemployment is declining in North and Southeast of Albania. According to INSTAT data it turns out that the citizens of Dibar and Korça are the good workers. 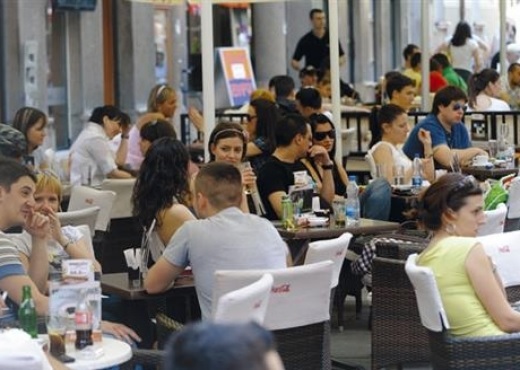 While in cities such as Vlora, Lezha and Durres the unemployment is higher, and in Tirana, where the businesses are numerous, is same situation. However, figures also fit with the particularities of people according to certain areas, say sociologists. "Tirana is coveted by all the youth of the Republic and unfortunately the employment market is dispersed. Not all Albanians can work and live in Tirana ... each year it is thought that some 70,000 people are coming to Tirana," Zyhdi Dervishi-Sociologist said to Oculus News. Vlora leads the list of unemployment growth by 23.5%. "The citizens of Vlora are probably much more gifted after the war than after work. It's a very interesting group of people who are very crazy ... wanting to get things done quickly, and these people are not expected to undergo a daily work routine, Dervishi says. On the other hand, Professor Zyhdi Dervishi has an explanation why the citizens of Dibar and Korça are the workers. "The Dibars and the Korçars have fought more immigration for at least the last two centuries ... Work on immigration has cultivated more the sense of work as well as job seekers," says the sociologist.